Three words we would use to describe Team DB! Experience, Integrity & Fun. Three important words to look for when selecting a wedding photographer and videographer! Experience - Darren comes with an abundance of it! His father was both a photographer & videographer back in day so Darren was born into it! When he finished school in 2009, he went & qualified & started working professionally pretty much straight away. It wasn't enough to become competent at one obviously, he went and mastered both! Himself & Juliana joined forces in 2015 & haven't looked back! Together, they won what they hope will be the first of many awards, the Weddings On Line 2018 Wedding Videographer of The Year! Proud as Punch & delighted that all their hard work was really starting to reap rewards! I cannot praise Darren and Julianna enough. From the lead up to be actual day they were so helpful. Always replying to queries in a timely manner and just such nice people. Any pictures we wanted taken were done and they both fit into our wedding so well, really unobtrusive but capturing all the highlights of the day. Thanks so much, would highly recommend! I couldn't recommend Darren & Juliana enough. From Darren jokes, to Juliana calm nature. They really kept us relaxed throughout the day. When we were sent the video we were hoping they captured some nice moments but our expectations were blown away. If your looking for a videographer or photographer, look no further then these two, you will not be disappointed!!!! Thank you to you both for capturing our day and making it extra special. Darren was the potographer at my nephews wedding recently. He was absolutely fantastic from the very beginning, putting everyone at ease and injecting some fun and humour into the morning. He was absolutely amazing with the 4 year old page boy, he knew exactly how to get the best photos out of this little boy. I have since seen the final photos and they are absolutely stunning. So much imagination but most importantly every shot that was required is there. Nobody was left out and the results will show forever. Excellent photographer, excellent photos 10 out of 10 without hesitation. An absolute joy to have around from start to finish but most importantly extremely wonderful at what he does. We were so excited when we found Darren through recommendations on Weddings online; his photos are natural and not over-edited. Darren and Juliana took special time to meet with us and answer our questions. He helped to organise our wedding day timeline to make the most of our picture time that day. He also helped to organise a list of wedding party/family photos, which were done amazingly fast and well the day-of. We felt so comfortable having him take our pictures, which is something we really wanted to be sure of before we chose a photographer. He tells you exactly what to do for photos and makes you feel relaxed! You will not regret having Darren as your photographer. We couldn't be happier, and our family are incredibly excited to see the photos after the teaser ones. 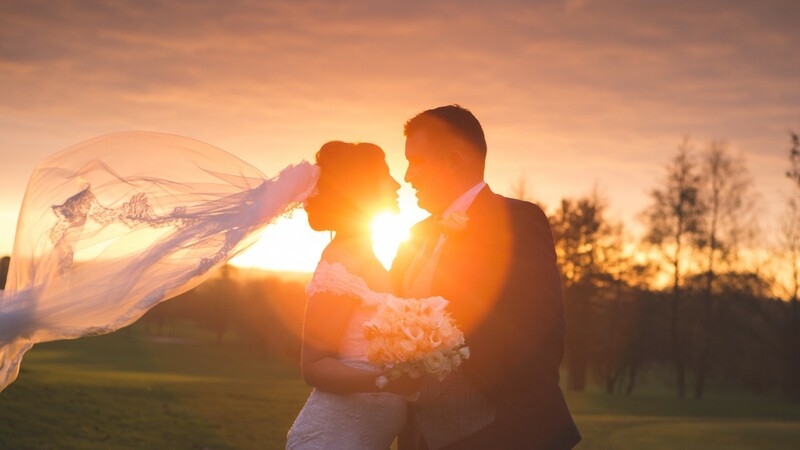 Darren Byrne Photography & Film came HIGHLY recommended through the Help I'm Getting Married Facebook Page/Weddingsonline.ie and Darren & Juliana did not disappoint, they are two in a million. They were great craic and captured our day with attention to detail while being ninjas at the same time. My family were so impressed with them. Darren even earned mammy brownie points on the day by pinning on mum's corsage. By the end of the evening I felt like they were more like friends than suppliers as they are so lovely. We had a great day with a great bunch of suppliers. I watched our wedding video trailer on repeat last night. Cant wait to sit down with my hubby and watch our video. Thank you both so much for capturing our day. Darren and a Juliana are amazing to work with so down to earth and made everyone feel at ease even when I was feeling a bit stressed Darren made me feel so much calmer . They were both amazing on the build up to the wedding and the day I couldn't have asked for anymore and the compliment from the guests about them both are amazing. I can't wait to see my photos and would definitely recommend Darren and Juliana to anybody that will listen. Darren and Juliana are such an amazing team. I'm delighted that we had Darren as our wedding photographer, he puts everyone at ease and knows exactly the shots he wants. I cannot wait to see our photos as I already know they will be incredible. When we asked Darren and Juliana to be our photographers we were going off their photography skills and the style they do which we loved but on the day they made it a whole lot better. They were so professional yet like part of the family. We hardly noticed they were there and we have just received our photographs recently and I cried at every single photo. They captured everything. We don’t know how they managed to do it. Nothing was too much for them and when you can have a laugh with someone that makes it all the better. All our family’s loved them. We would highly recommend. A++ from us. Darren and Juliana were absolutely brilliant not only on our wedding day but also on the lead up to it. Darren put me at ease straight away when I was nervous and he was great with my daughter. They were nothing but friendly and professional. Can’t wait to see our video. Would highly recommend. Couldn’t fault my videographer, delighted with the footage and the way it was put together in my wedding video. You’d hardly have noticed he was there at all yet he captured every key moment and more! Couldn’t recommend any more highly! Me and Sebastian would like to give a brief of our wedding day from March 2nd 2018. We had everything planned and prepped ready to go for our special day. Leading up to our day it was forecast for snow and everyone kept sayino what will you do if it does i rest assured I will be getting married regardless a bit of snow. But when our day came we where giving the shock of a bit more snow then we thought ??? ?Sebastian was in my aunts as the night before the wedding tradition and I rang him and said what will we do ? I told him to think as his family couldn't make it due to 5 feet of snow nobody could drive and even our priest was on the phone asking if the wedding will be going ahead but Sebastian said we will go ahead with the wedding as he knew how important it was for me as we where getting married on my late nans birthday.so we sorted one thing to go ahead with the wedding but how will we get there ?considering our cars and limos couldn't drive.thankfully my hair dressers from cutting edge curls enniscorthy Aoife and Nicole they posted it on Facebook about getting me a lift to the church if worst came to the worst I was gonna walk with my dress over my shoulder or in a buggy nothing was stopping me ???? after been rest assured my photographer Darren never let me down after a couple phone calls calming my nerves he was with us every step of the way and put us to piece he would be waiting at the church regardless so we got sorted for a lift ended up been a new Holland tractor and a jcb not many brides would have the story to tell of having 5 inches of snow and a fancy ride in style lol after all of a stressful morning turned into a brilliant day all round and Darren a big special thank to you and Juliana for making my day even better by getting amazing shots and video footage I'm delighted and love them and thank you for putting up with the cold in your hands after the snow your truly amazing at what you do and didn't fail on the worst day of the year a big thanks from me and Sebastian. We have just received our wedding video and what an amazing job by Darren and Juliana! They captured every moment of our special day from start to finish .. they both stayed in the background on our wedding day without adding too much pressure for filming. From the moment we booked with them till we received our final edit they provided excellent customer service. Our video is fantastic and we will treasure it for years to come. Like many others we left booking a videographer kinda last minute and really debated whether or not it was worth getting one or not... the day after the wedding it was the one thing, before even seeing any of the video, that I was so glad we'd decided to book in the end. All the clicheés are true it really does go so fast and you really do miss so much of it and if course the pictures only do capture so much! We both absolutely loved our video, even my husband who had been so against the idea of being videoed at the start. Darren was great, very flexible with putting a package together for us, communication from start to finish was excellent and he was fantastic on the day, so down to earth and had some great advice on the morning while at the same time his video recording went totally un noticed by our guests and even our bridal party! The videos turned out brilliantly amd are by far our favourite keepsake of our day. Definitely book yours, you won't regret it!! Having Darren on our wedding day was great. He was such a funny bubbley person to have around to help everyone forget all the nerves. But his professionalism was amazing. He even helped entertain my daughter who started to have a meltdown during our photography so as we could have our photos taken in peace. He went above and beyond as our videographer and caught every single moment that was so special to everyone. Having him there was the best decission we made about our day and i can never thank Darren and Julianna enough for everything. Darren & Juliana are the perfect professionals. We had such fun with them. So friendly & down to earth. Not intrusive at all. Can't wait to see the end result. After debating whether or not to hire a videographer for our wedding we finally agreed and booked Darren Byrne Photography. After the initial booking I received a welcome package in the post from them with loads of little presents and information on wedding suppliers. I instantly knew we made the right decision. Darren and Juliana are such an amazing team. They are so professional yet brilliant craic, Darren had our bridal party laughing the whole morning! When we watched our wedding USB I cried the whole way through. They truly captured the heart of the day. The quality of work was outstanding. When the wedding dress is packed away, when the honeymoon is over and when life settles back to normal we will still have this wonderful video to remind us of the best day of our lives. To Darren and Juliana, we are truly thankful! darren and juliana are two really nice people to deal with. we had them for videography and it was the best choice ever. the video was amazing they captured our day beautifully and they are so professional you would hardly even notice they were there at all.i was on two minds weather to have a video at all but im so glad i did as the day goes by that fast you dont really process it all and its great to sit down a couple of weeks after the wedding and relive the day and catch the bits you missed. they are very responsive to any questions you have and make you feel at ease straight away their customer service is top class. to all future brides book them now you wont be sorry. Thanks a million Fiona - you guys were a pleasure to work with! Darren and his team made our day amazing, so professional and easy to deal with, he is a lovely person and made us so relaxed and we had a great laugh! We would highly recommend him! Darren and his team were fantastic to deal with from the moment I contacted them. We weren't going to have a videographer due to budget constraints but decided last minute to book one and we are so so glad we did. The layout, style and attention to detail of the video is amazing and anyone that has seen it has said the same. Darren is friendly and outgoing and was a pleasure to deal with on the day. He quietly worked away getting the footage he needed. It's not just on his work that i would recommend him. He also provided excellent customer service with many extra little touches once we booked. Highly recommend!! Guys I so seriously cannot recommend Darren Byrne Photography enough. We just got our video back and it's amazing. The day went in such a blur I was after forgetting loads. Looking back on it all now I'm in bits. Beautifully shot video which really captured us as a couple. Got some lovely moments of our (at the time) 10 month old. For anyone on a budget or anyone sitting on the fence about getting a video done please do it! We had the tightest budget but decided to go for it last minute. Delighted we did as husband was really sick at the time and we had a lot of anxiety and stress going on in the background. Thank you Darren and Juliana. Two genuinely talented, nice, down to earth people. We really cannot thank you enough ?? Darren was our videographer for our wedding day!! From the start we could see how out going, professional and great fun Darren was. He left no stone un turned By making sure all our special moments were captured and we will treasure them forever. All our guests commented on how brilliant he was. A special mention also to Juliana the backbone to Darren Byrne Photography she was so attentive and a pleasure to deal with. We would highly recommend them for video and photography to anyone getting married. I'm am delighted with the service that we got from Darren and the team. They are very professional Darren made me and everyone else feel very relaxed on our big day. I would highly recommend Darren and his team. You wouldn't even know the cameras are there they are not intrusive at all an absolute must for your wedding to look back on it in years to come for your children, family and grandkids to have a look back at. Darren made me feel totally at ease and comfortable. Excellent photographer, we are delighted with our pictures. We would highly recommend Darren to any couple getting married. We had Darren as or photographer for our wedding day and we could not recommend him enough. He captured very special moments that will be treasured forever. He and his team are very professional and really make you at ease. Communication was fantastic on the lead up to the big day, any questions or queries I had, Darren was always prompt in getting back to me. I would have absolutely no problem and will be recommending Darren and his team to future couples. From Day 1 Darren made us feel at ease. I've never been one to enjoy posing in front of the camera but Darren was so relaxed and helpful that any embarrassment I would have normally felt was gone! He made us laugh and enjoy ourselves, so now our beautiful photos look natural rather than posed. Not only did Darren get the usual group and family photos but he also captured some beautiful and magical moments or people laughing or gazing at something in the distance. The turn around time to see the photos was incredibly quick and we had 100's to choose from. He also did our video for the day and watching that back leaves me giggling and crying tears of joy time after time. I would recommend Darren to everyone and anyone, not only was he incredibly good value but his photos have left us with memories that last a lifetime and I'm so grateful.